Hi all! I hope you are ready and raring for your week. 🙂 Today’s polish is a gorgeous one from Alchemy Lacquers called Kelpie Seaweed. 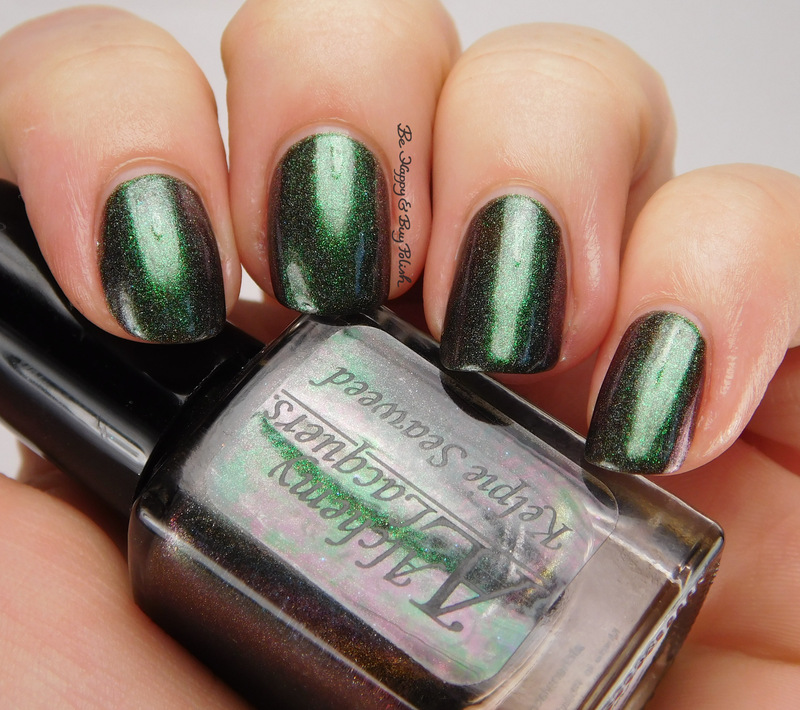 Kelpie Seaweed is a holographic color shifting nail polish that shifts from deep forest green to violet. This is 2 coats plus top coat. Formula was very nice, if a little thin. I couldn’t believe how amazing this looked in the sun! Made my heart skip a beat. Unfortunately, I don’t currently see this polish in the Alchemy Lacquers store, but while you’re waiting you should check out her other pretty polishes! What a great green polish! I don’t own a lot of this color in my collection. Oh my goodness, look at it in the sun!! Made my heart skip too. I’ve been wanting to buy Alchemy, she’s at the top of my list to try from next. I’m just waiting on her next collection.